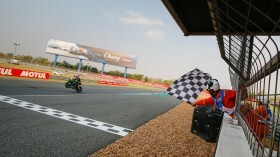 Xavi Fores (Barni Racing Team) set the fastest time by over 0.289s as times began to tumble in cooler conditions at the Chang International Circuit for the opening day of action, with the fight beginning for an automatic position in Superpole Two. 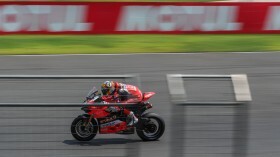 Lapping at half a second below the lap record, Fores set the initial pace as the lap times were changing all session and the bikes began to adjust to the 4.5km circuit. 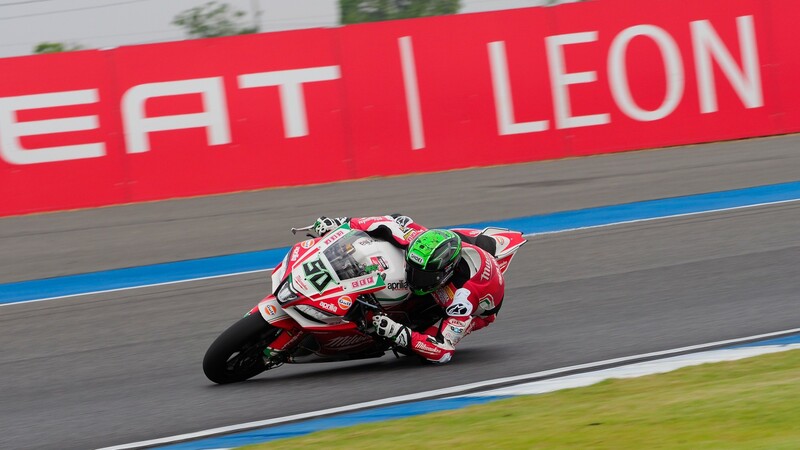 Eugene Laverty (Milwaukee Aprilia) shot into second position in the closing seconds of the session, after spending the 45 minutes getting his bike set up for the circuit. Spaniard Jordi Torres (MV Agusta Reparto Corse) lines up in third position, ahead of the first Kawasaki on the timing sheets of Tom Sykes (Kawasaki Racing Team WorldSBK) in fourth. 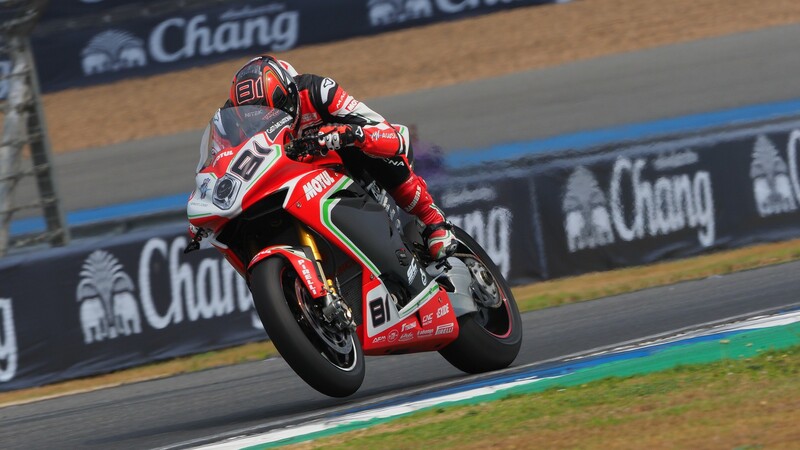 Leon Camier (Red Bull Honda World Superbike Team) continues to impress, taking fifth position after leading the this morning. 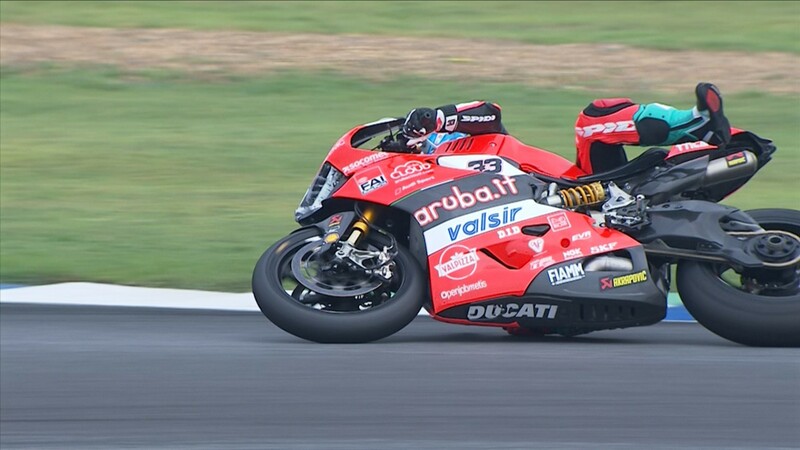 Sixth position was taken by Alex Lowes (Pata Yamaha Official WorldSBK Team), ahead of Marco Melandri (Aruba.it Racing – Ducati) in seventh as the Italian struggled to find a fast pace in the final sector. 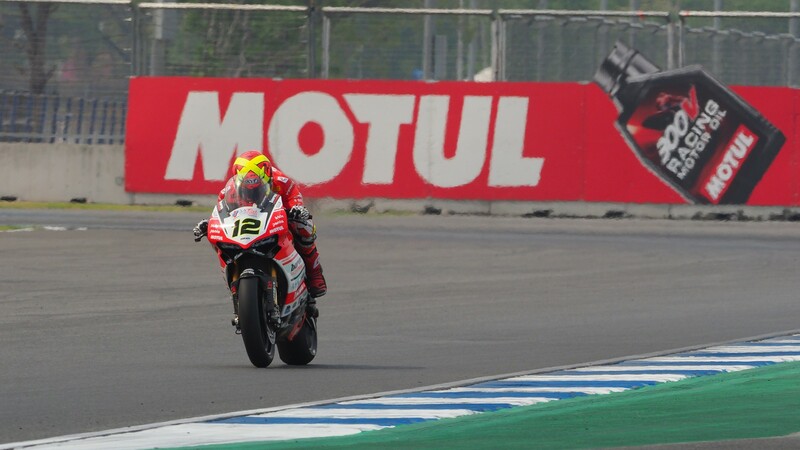 On his first appearance around Buriram, Loris Baz (GULF Althea BMW Racing Team) was in eighth ahead of Chaz Davies (Aruba.it Racing – Ducati) in the top nine whilst Roman Ramos (Team Go Eleven Kawasaki) completed the top ten – as well as being second independent rider. Reigning world champion Jonathan Rea (Kawasaki Racing Team WorldSBK) is out of the battle for pole position, ending FP1 in 11th position, ahead of Michael van der Mark (Pata Yamaha Official WorldSBK Team). 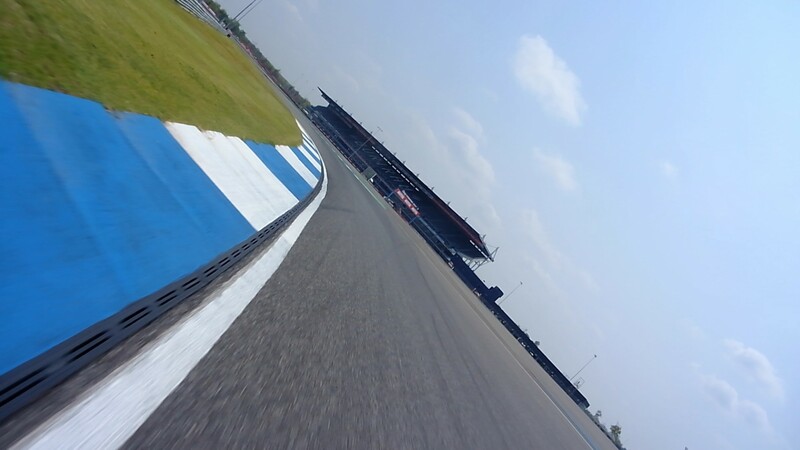 Follow the rest of Friday’s action with Live Timing on WorldSBK.com, and watch all the highlights and reactions with the WorldSBK VideoPass.